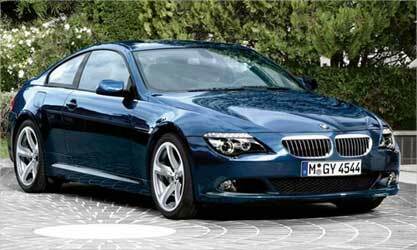 The all new suave BMW 6-series coupe is set to be launched on March 25. 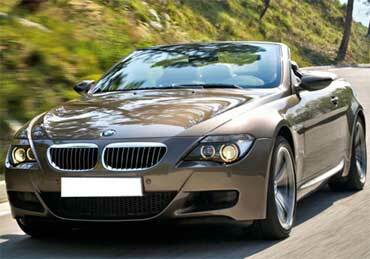 There will be two petrol engine options offered with a standard eight-speed automatic gearbox in the 640i and 650i. The 640i is powered by a turbocharged 3.0-litre straight six petrol engine capable of producing 320bhp and 45kgm torque. The car does the 0 to 100 sprint in 5.7sec and touches a top speed of 250kph. The car offers a mileage of about 14.9kpl. The 650i will be powered by a 4.4-litre V8 capable of generating 407bhp and 61.2 kgm. The car does the 0-100kph run in 5.0sec. 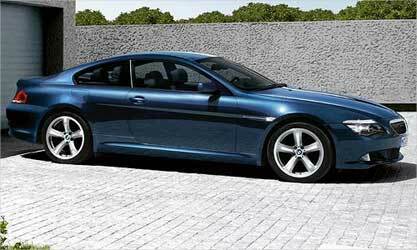 The coupe variant of the car will also get a 320bhp turbodiesel engine option and the M6 a 550bhp twin-turbo. 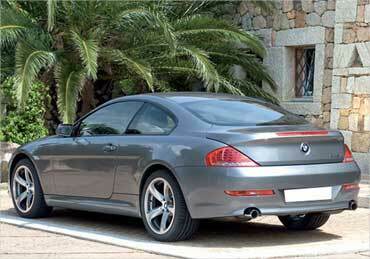 The BMW 6-Series has elements it has common with the 5 series. The car's elegant looks are enhanced by its shark-like nose. The new headlamp graphics with optional LED corona lenses give the front of the car a striking personality. The different kidney grille, a long bonnet and width air duct within the lower part of the bumper also add a touch of freshness to the front profile. 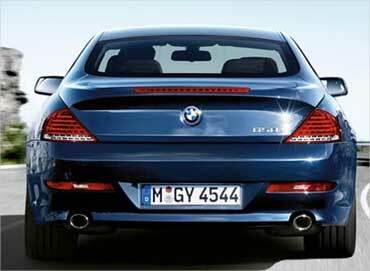 The rear of the car is all lit up by the 5 series like L-shaped lamps and a more integrated 450 litres boot. 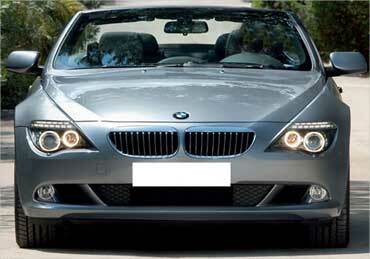 At the rear are L-shaped lamps use similar LED graphics as on the 5-series. 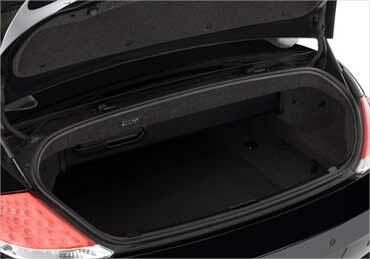 Apart from the better integrated 450 litres boot the car flaunts a sporty rear spoiler. 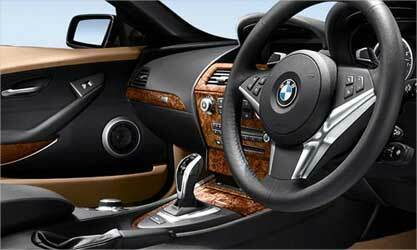 The BMW 650i sports coupe offers a Voice Activation System that can control various features in the automobile including navigation and phone. iDrive is another technological advance that controls and displays settings on a console mounted button and monitor including cabin temperature, navigation and communication. Aiding in the superior performance profile of the BMW 6 Series is the revolutionary Valvetronic technology which replaces the traditional throttle with a system which alters the timing and aperture of the engine's valves to regulate air and fuel intake. Valvetronic technology allows the engine to breathe better, save gas, and increase performance. Add to that the benefit of Double-VANOS, allowing precision adjustment of the timing of the engine's intake and outlet camshafts and the 6 Series V8 is as precise and balanced as any combustion engine on the market. The convertible capitalises on the same good looks with a refined styling that is still bold and pleasing to the eye. The same muscular power plant pumps out 360 hp with the zero to 60 benchmark at 5.6 seconds. Active Roll Stabilization ensures dynamic and safe performance with level cornering on even the tightest curves. The interior boasts of the trademark BMW touch of luxury with Dakota leather upholstery and door trim and Ruthenium pearl-gloss interior trim. Front seats are eight-way power adjustable with four-way lumbar support. 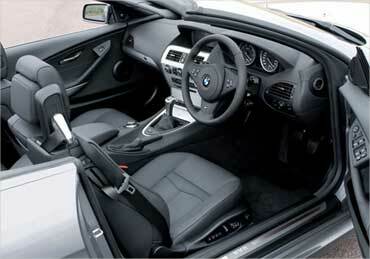 BMW on-board navigation with voice feedback, voice activation, and real time traffic information is an option.